If you remember a few backs when I posted about my latest TK MAXX haul I actually totally forgot to mention that I actually found myself some amazing Illamasqua products too. It has been ages since I last bought any Illamasqua products so thought it was time to treat myself, especially when it was all half price or less mwahaha. In my haul, I bought this palette called "shiver palette' and also the 'precision abyss eyeliner' and also something I have wanted to try for years ....'beyond veil primer'. The Illamasqua shiver palette has another similar palette called 'Delirious' which has a similar package which is red. I wanted the blue one as I wanted cooler tones as I have a lot of warmer tone eyeshadow palettes. Shiver cost £36 when it was released but now its had a whopping price drop and now its a bargain price of £18. It has 8 highly pigmented shades in the palette which are a mixture of shimmery and matte. 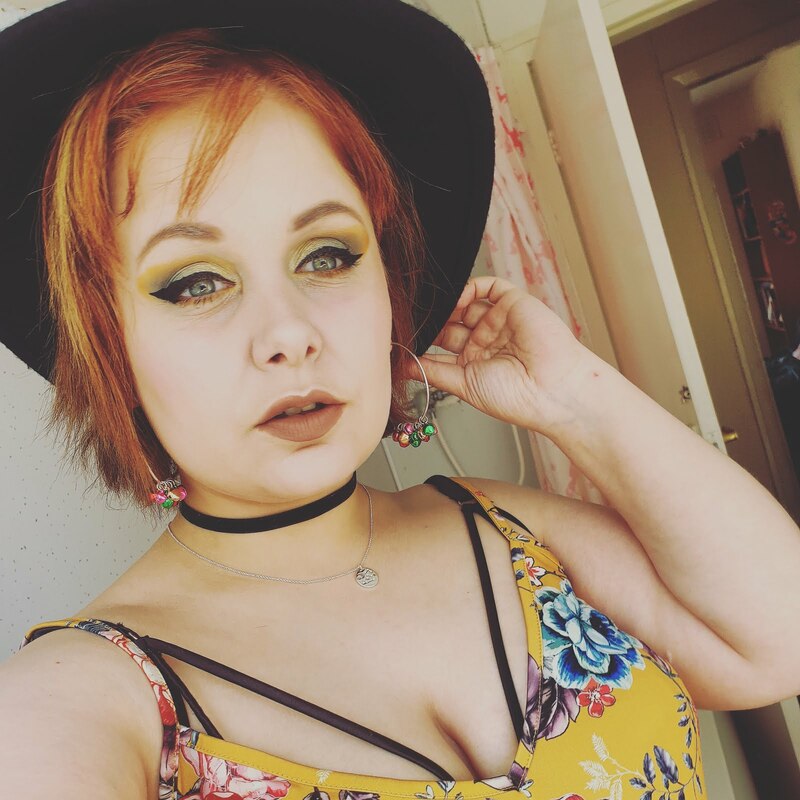 I have never actually bought an Illamasuqa eyeshadow palette before but I have tried the single eyeshadows that they have and I was impressed with them. This palette looks amazing with its stand out blue and black design with its unique shape. The box it comes in stands out and it matches the palette. I love the name of the eyeshadows inside the palette too. Sorry to say even though the packaging has the most amazing design the actual packaging feels very cheap and cardboard like which is a shame really. The shadows are almost buttery and remind me of too faced eyeshadows. The blend easily and easily applies to the eyelids. 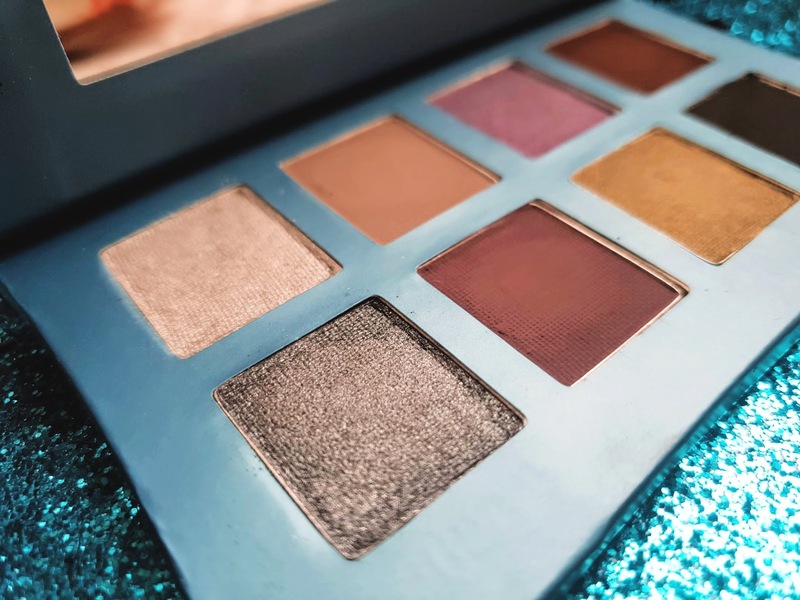 They are highly pigmented and work wonderfully well on their own or blended with each other or other eyeshadow palettes. My favourite has to be 'Fist' which is a gorgeous shimmery silver. They are a selection of both matte and shimmery shades in this palette. They can be used alone or together. The shimmery shadows work best for this as they are shimmery all day long. The mattes are really good but for me personally, I find they fade quicker than the shimmery shadows during the day. I am very happy that I found this palette as it has very high-quality shadows inside it, its just a shame that the packaging is pretty poor and I can imagine it not lasting long at all as it feels quite flimsy. As I said above the shimmery shades are my favourite, especially Fist. Most of the shades are long lasting and they all blend together perfectly. Now, as much as I love this palette I am so glad I got it on sale because for me it is not worth the full price of £36 since the packaging isn't brilliant but I am glad I have it because the quality of the eyeshadows is second to none. Since this eyeshadow palette is going to be discontinued I would definitely recommend it still seeing as its a good price for amazing quality eyeshadows. 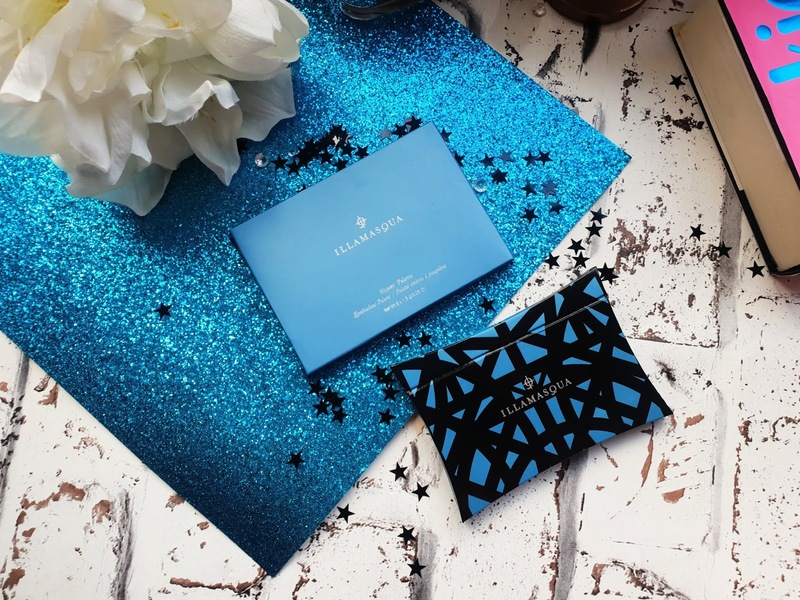 Have you tried Illamasqua makeup before? if so what are your favourites? These shades look beautiful. I haven't tried anything from Illamasqua before! It is an amazing brand and has to be one of my favourites! I've not tried anything from Illamasqua before but this palette looks gorgeous and I love the look you've created with it. I'm also a sucker for packaging so there's always that! It seems like this palette has some very nice looking colors in it, I will have to keep my eye out for it in the stores! Looks like a lovely palette :) Such a shame about the quality of the packaging though, especially as it looks so pretty. I love the packaging of the palette, it is so pretty! I am so glad you are happy with your purchase!